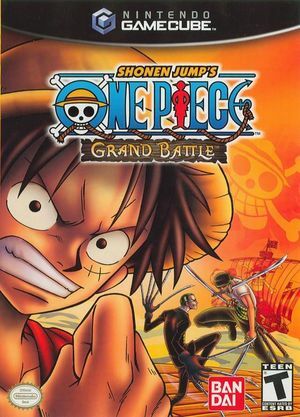 The characters from the hit TV show make their US debut in One Piece: Grand Battle!, known in Japan as One Piece Grand Battle! Rush. Play as one of 16 weird and wonderful pirates from the show and pick up objects around you to use as weapons as you battle to become the King of the Pirates! The game features 6 game play modes, including 2-player versus mode and tournament mode. It is the fourth game in the Grand Battle series. The graph below charts the compatibility with One Piece: Grand Battle! since Dolphin's 2.0 release, listing revisions only where a compatibility change occurred. This page was last edited on 24 May 2018, at 08:46.